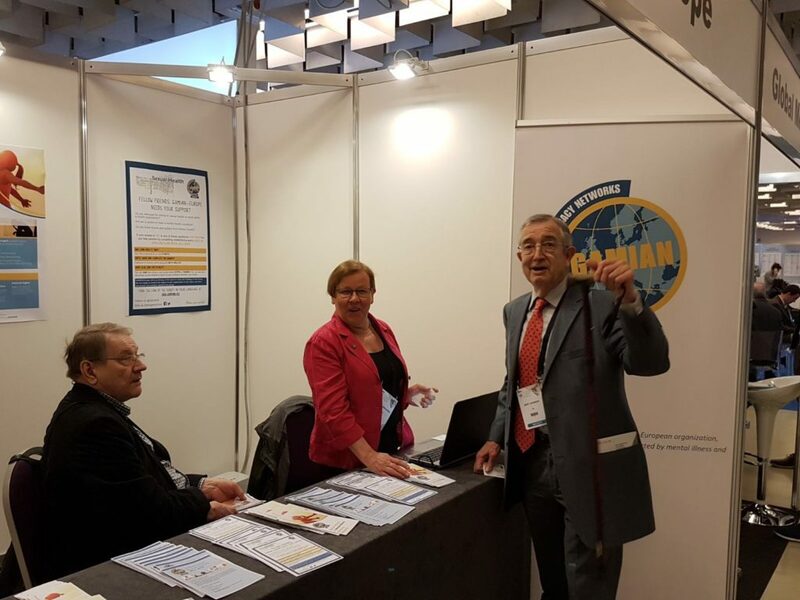 On Saturday 1rst April, the European Psychiatric Association (EPA) organized a Forum on Mental Health Challenges and Opportunities in the context of the 2017 Congress of Psychiatry that took place in Florence, Italy. 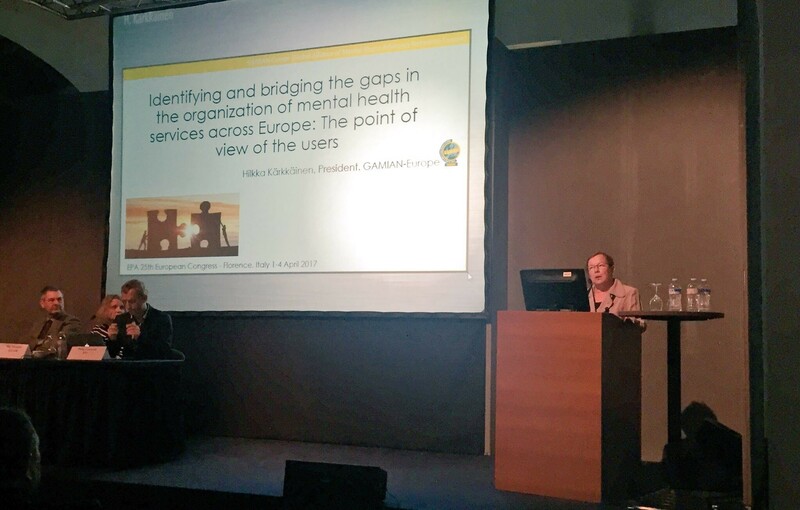 Our President Hilkka Karkkainen represented GAMIAN-Europe by delivering an speech on the topic: ‘Identifying and bridging the gaps in the organization of mental health services across Europe’ Hilkka contributed to the discussion by providing the ​​point of view of patients and users. 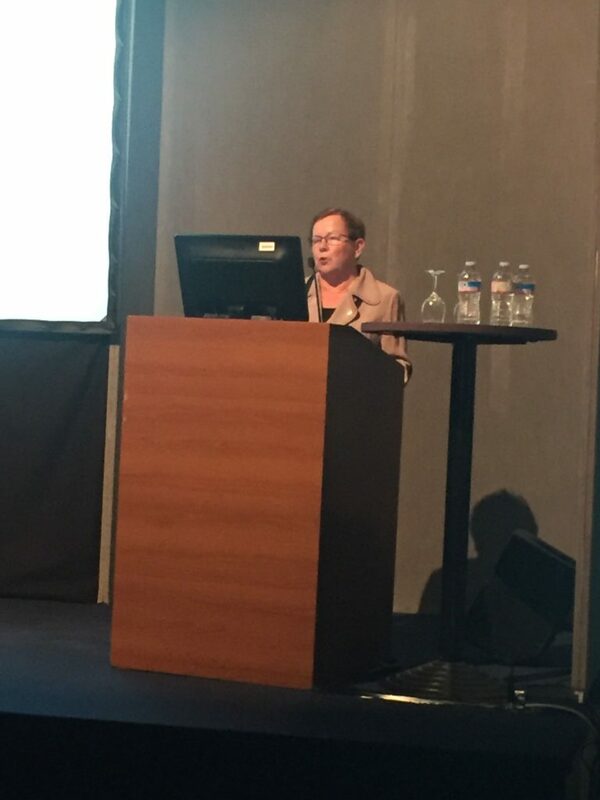 She had the opportunity to share the podium with Herta Adam from DG Sante (European Commission) Miia Männikkö from EUFAMI, Henk Parmentier from WONCA and Martin Ward from HORATIO. 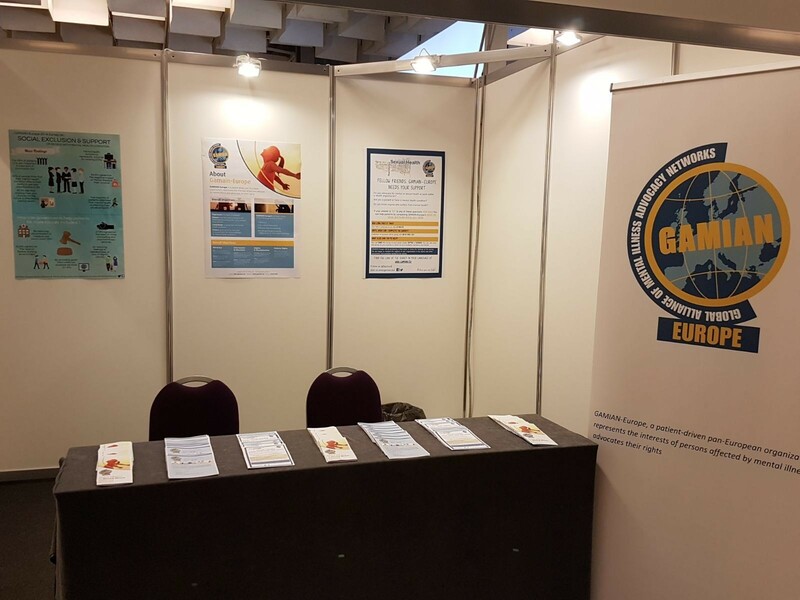 The event was moderated by Prof. Dr. Wolfgang Gaebel.